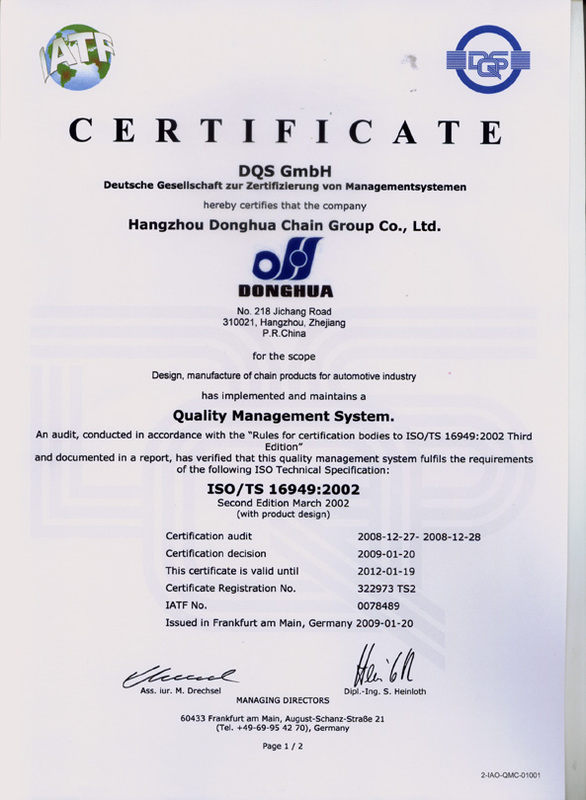 Donghua USA is built on a foundation of quality. We’re confident that every chain we ship meets our exacting standards. We can be confident because of our continuous process optimization programs, our in-house quality assurance procedures, and our global network that continually monitors in-field use. All of our chain is manufactured to precision standards that utilize world-class technology. 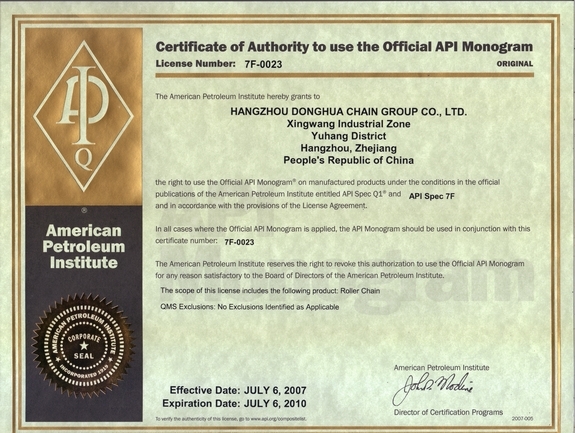 Our quality is not limited to our products. Your satisfaction is equally important to us. Accordingly, we have invested to reinforce our strategy of being close to our customers. Our headquarters and warehouse are centrally located in Chicago. 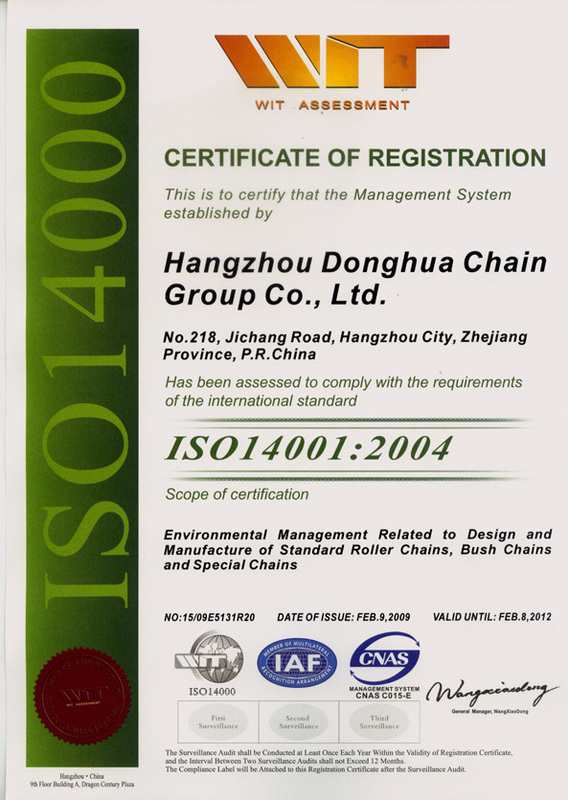 The Donghua Chain group is extremely proud of its accreditations and certifications. Each demonstrates the company’s on-going commitment to manufacturing the highest quality chain products. 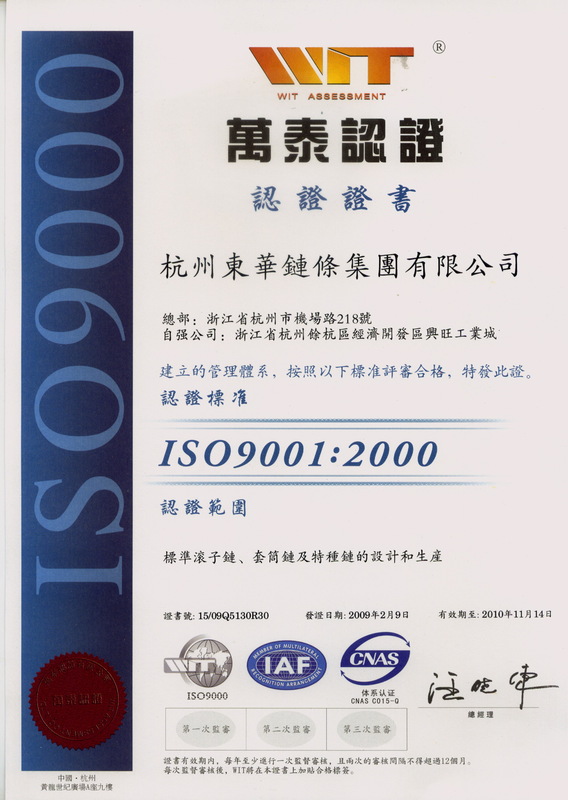 This is an internationally recognized quality management standard. Its aim is to ensure that there are quality procedures and processes in place to meet customer expectations. The American Petroleum Institute (API) is the US trade association for the oil and natural gas industry. Its standard promotes the use of proven, sound engineering practices. This is an ISO Technical Specification and relates to the quality system requirements for the design, development, production, installation and servicing of automotive related products. 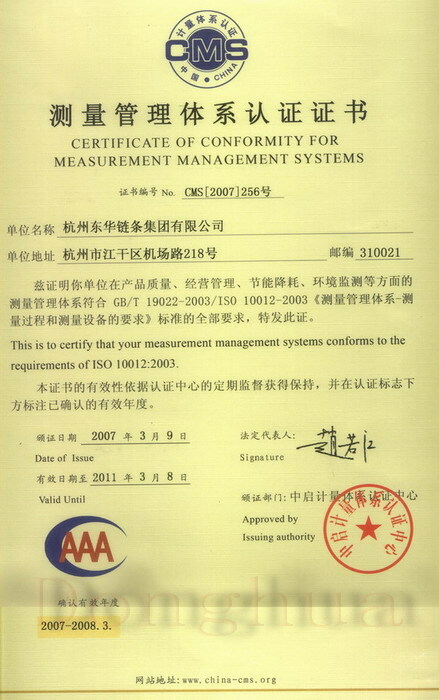 The ISO standard that covers the management of measurement processes and measuring equipment to comply with metrological requirements. This ISO standard helps organizations minimize how their processes may negatively affect the environment and ensure compliance with relevant laws.